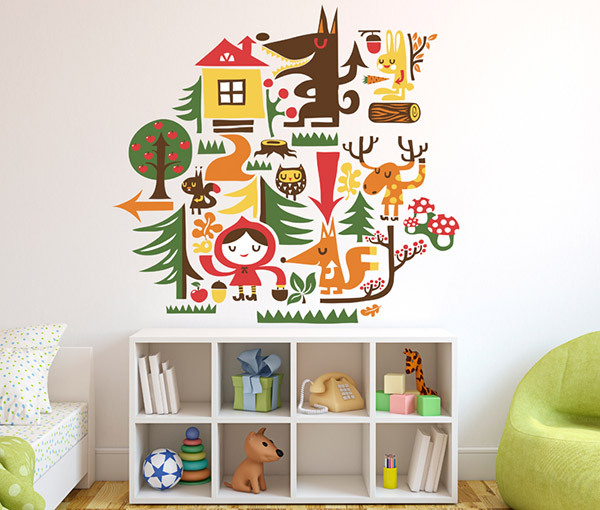 Wall decals are the magical answer to creating a beautiful nursery or children’s space without lifting a paint brush, a spirit level or even a hammer. 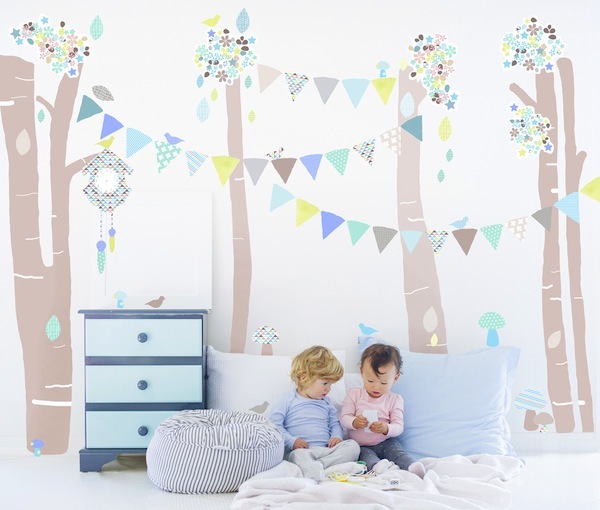 Decals are as easy as peeling and sticking to your bare wall. The only hard part, Babyologists, is choosing your design and we’re making it even easier for you with a list of our faves right here! There’s something for everyone when looking for a quick wall pick-me-up at Chispum. A long time lover of all things Helen Dardik, I adore their selection of her Scandinavian wonders, priced from €22. If sweet and serene is your decorating brief, you’re sure to find it at Love Mae. An amazing collection of fabric decals for both boys and girls, which can be both easily removed and reused if relocating is required. I’ve pinned their superb Watermelon Dreams decals to my Pinterest board for my teen daughter who is (mostly) just as sweet. Colour is gloriously bold at Pop & Lolli, with a collection so beautiful, you will want to stick a little (or big!) something somewhere, everywhere. Of course if bold colour isn’t your thing, there’s plenty of softer colours on offer too. Recently we featured the awesome quote wall art from Wondermade. 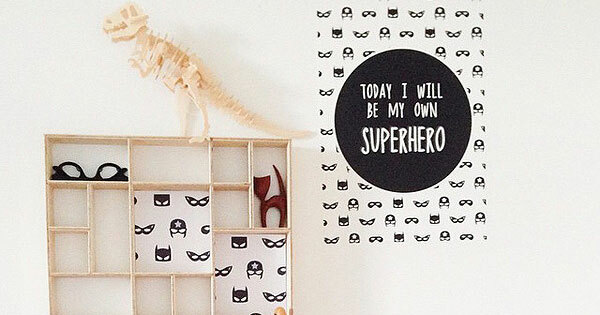 Super cute additions to any nursery or playroom, why not stick an equally cute and positive affirmation for them to wake up to? Prepare to swoon upon entering the virtual aisles of Made of Sundays. 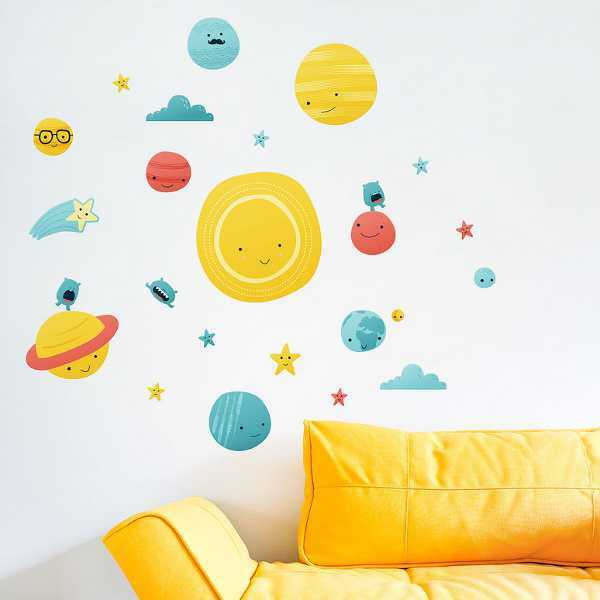 While you can’t help but grin at the Solar System wall decal, for anyone not entirely sure on committing themselves to a particular themed decal, you’ll find a safety net of delicious polka dots and similar here. Big spaces are no dramas either, Mimondo vinyl wall decals are perfect for an expanse of blank wall that’s in need of perking up, and better yet, it can all happen in one afternoon! 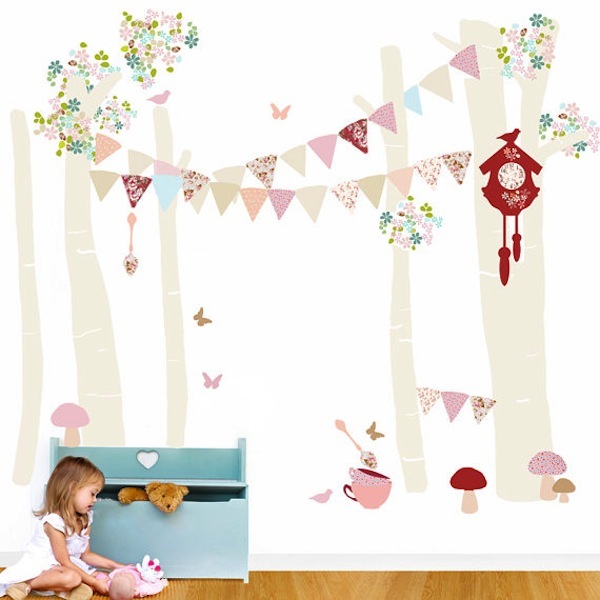 For serious wow factor with a theme that is as cute as a dainty woodland themed button, Schmooks wall decals tick all the boxes. This particular design is available in pink (above) or blue colourway (pictured at top of post) to suit either the littlest of lads or ladies. There’s even a rather extraordinary monochrome version to discover. The one I hold close to my heart as the first stop for Australian based wall stickers? That award goes to The Wall Sticker Company. They collaborate with talented artists the world over and have an awesome contemporary collection to choose from to suit any space in your home – you can always find something here!